"Gerhard Richter: Panorama" at the Tate Modern. 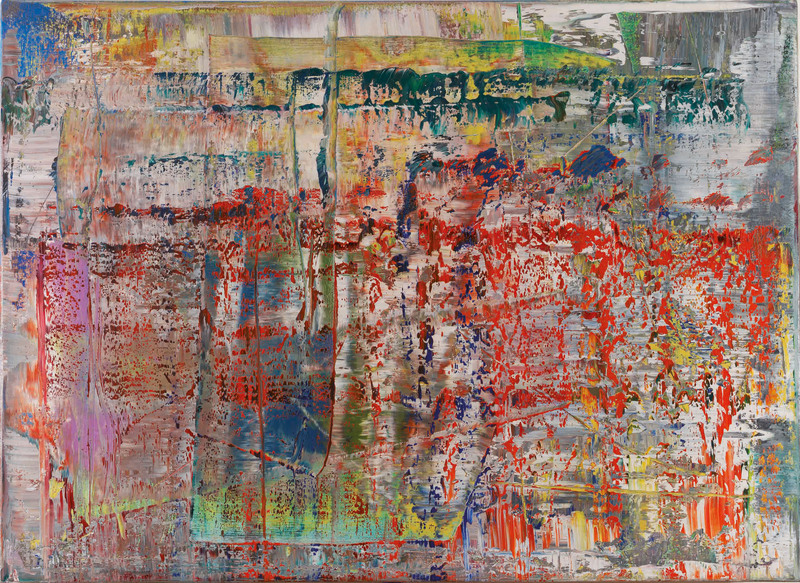 “Gerhard Richter: Panorama” is a well appropriate name for this exhibition, ongoing at the Tate Modern, London. This show, in fact, is a sort of survey about Gerhard Richter with rooms organised in chronological succession from the beginning of the artist carrier to end up in recent time spanning five decades. The quality of the works is amazing and Richter confirms to be one of the most important living artists. However, what is really significant is the ability of Richter to master many different kinds of techniques. “Gerhard Richter : Panorama” displays a large quantity of works that depict appropriately the artist’s talent to use different medium. Each room focuses on a particular moment of his career showing how he explored a set of ideas. The works exhibited are mostly paintings but also glass constructions, mirrors, drawings, and photographs. About the difference between painting and sculpture Richter himself states in a video –interview on screening in the entrance corridor: “Painting shows what it s not there”. 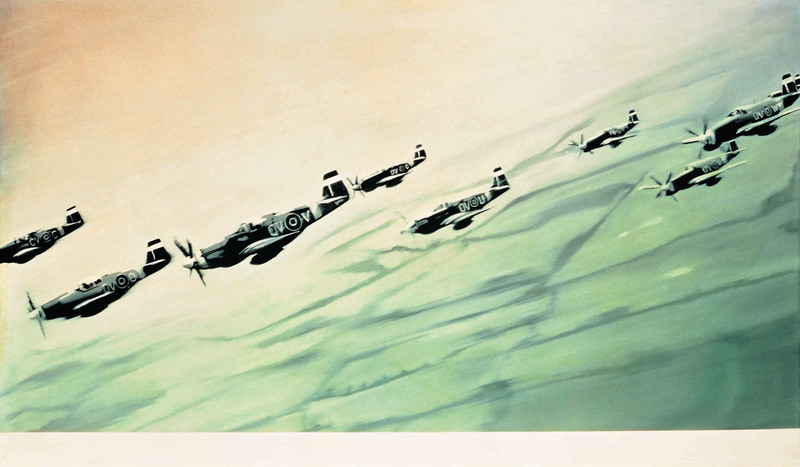 The exhibition at the Tate Modern starts with a room dedicated to ‘Photopainting in the 1960s’. Shortly after settling in Dusseldorf (1961) Richter began to use ready made photographs as the source for his paintings. The exhibition proceed locating Richter in different environment such as his comeback to ‘The art after Duchamp’, his making of different series of ‘Damaged Landscapes’, or the ‘Grey painting and colour charts’ period. Interesting is the contrast between ‘Figuration and Abstraction’ – room 5 – a period that led to ‘Exploring abstraction’ – room 6 – and to ‘Genre painting and early squeegee abstracts’ – room 7 – a technique Richter will bring to the highest levels. The evolution of his work can be seen in room 8 ‘Landscapes and portraits’ which proceed in ‘18 October 1977’, room 9, dedicated to phenomenon of the terrorism of the Red Army Fraction, also known as the Baader -Meinhof group. But his work with non figurative art keep on and room 10 ‘Abstraction in the 1990s’ show some masterpieces. Room 11 ‘Questioning painting’ highlights that Richter has used various media as a part of his ongoing enquiry about conventions, materials, public and private roles of painting. Room 12 ‘The limits of vision’ which focal point is the question Richter always posed about vision and if perception enables or confuses our understanding of the world. ‘2001 and beyond’, room 13, explains that Richter was en route to New York on 11 September 2011 when is plane was diverted to Canada and he then started later his work of art about the World trade Centre attacks. There is also a free entrance additional room ‘Cage’ external to the exhibition which reserve a good surprise with its monumental pieces. 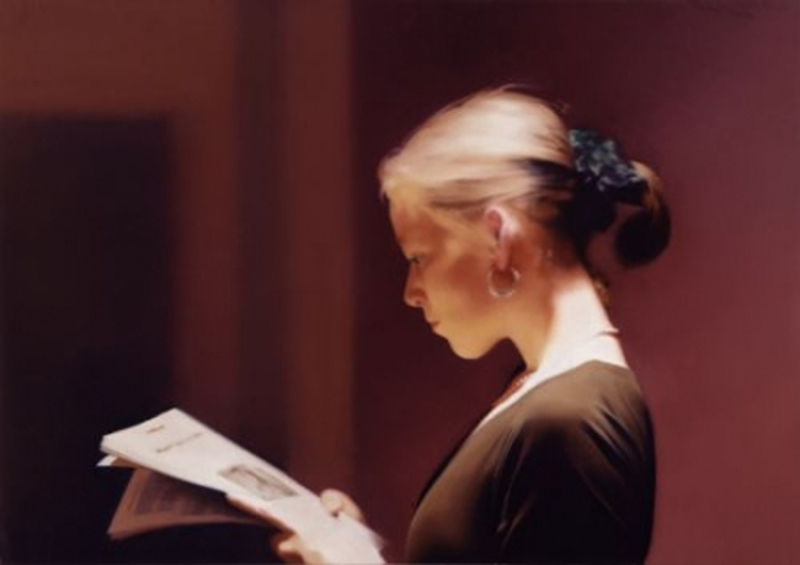 Richter is often celebrated for the diversity of his approaches to painting. His work is organised by different oppositions, with paintings after photographs as well as abstract pictures; traditional still-lifes alongside highly charged subjects; monochrome grey works and multicoloured grids. The German visual artist Gerhard Richter has produced using different media at the same time thus breaking the boundaries of the concept that artist should restrict his work by uphold a single cohesive style. Some of its paintings are planned out and ordered while others are the result of unpredictable accumulations of marks and erasures. Richter sometimes maintains these oppositions, but at other times he undoes them. This exhibition shows how he often brings abstraction and figuration together, and explores related ideas in very different looking works. Gerhard Richter was born in Dresden, Saxony (9th February 1932) and grew up in Reichenau, Lower Silesia, and in Waltersdorf (Zittauer Gebirge) in the Upper Lusatian countryside. He finally began his study at the Dresden Academy of Fine Arts in 1951. His teachers were Karl von Appen, Ulrich Lohmar and Will Grohmann. He started his career with paintings over ideological reasons and he had to escape from East to West Germany – two months before the building of the Berlin Wall. When he arrived in West Germany, 1961, Richter began to study at the Kunstakademie Düsseldorf under Karl Otto Götz together with Sigmar Polke, Konrad Lueg and Gotthard Graubner. With Polke and Lueg he introduced the term Kapitalistischer Realismus (Capitalistic Realism) as an anti-style of art. This title also referred to the realist style of art known as Socialist Realism, then the official art doctrine of the Soviet Union, but it also commented upon the consumer-driven art doctrine of western capitalism. Richter married Marianne Eufinger in 1957; she gave birth to his first daughter. He married his second wife, the sculptor Isa Genzken, in 1982. Richter had a son and daughter with his third wife, Sabine Moritz after they were married in 1995. Major solo exhibitions include the 36th Venice Biennale in 1972, his first large-scale retrospective at Städtische Kunsthalle und Kunstverein für die Rheinlande und Westfalen, Düsseldorf in 1986 and Forty Years of Painting, a large-scale retrospective at the Museum of Modern Art, New York, 2002. He installed Black Red Gold in the foyer of the Reichstag building in Berlin in 1999 and the window that he designed for Cologne Cathedral was completed in 2007. In 1983, Richter resettled from Düsseldorf to Cologne, where he still lives and works today. “Gerhard Richter: Panorama” is curated by Nicholas Serota, Director, Tate, and Mark Godfrey, Curator, Tate Modern with Amy Dickson, Assistant Curator, Tate Modern, with colleagues in Berlin and Paris. The exhibition has been organised in association with Nationalgalerie, Staatliche Museen zu Berlin, where it will be curated by Udo Kittelmann and Dorothee Brill, and the Centre Pompidou, Paris, where it will be curated by Alfred Pacquement, Camille Morineau and Lucia Pesapane. Showing from 6th October 2011 until 8 January 2012.